Beating Lehigh is so much fun!!!! So bring your best game because Lehigh will bring theirs. Eleven o’clock on Saturday…bring it!! GO PARDS!! They stole the sword from Lafayette’s statue sixty years ago and it still ticks me off. 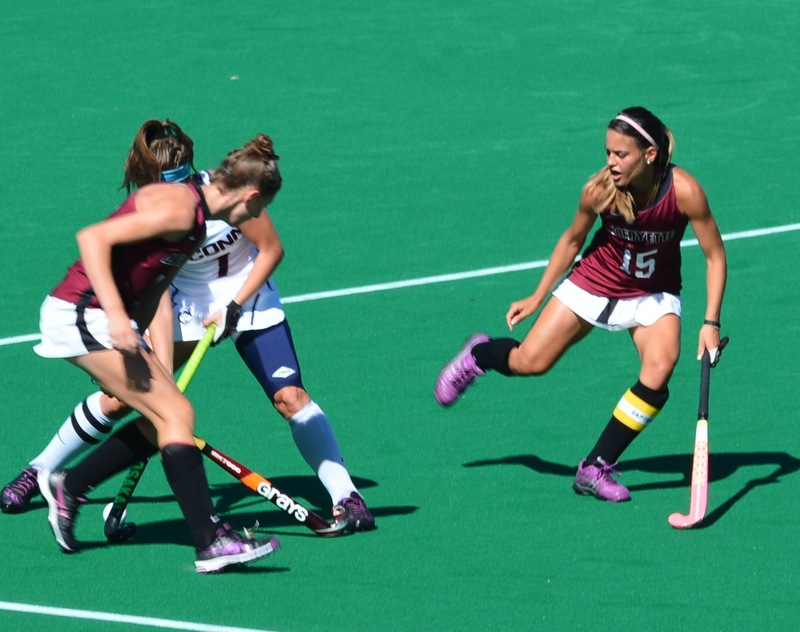 The Albany Danes used only two substitutes as they depended on two first period goals and a third goal in the final period to prevail in a game with the Lafayette Leopards. Before a crowd of over 500 fans ( the largest of the season), the Leopards battled, hoping to outlast a skilled Dane attack and perhaps the best player in country Paula Heuser from Monchengladback, Germany. Heuser put on a clinic on the drag flick as she scored two goals, one in each period to lead the Danes in a three to one hard fought contest. 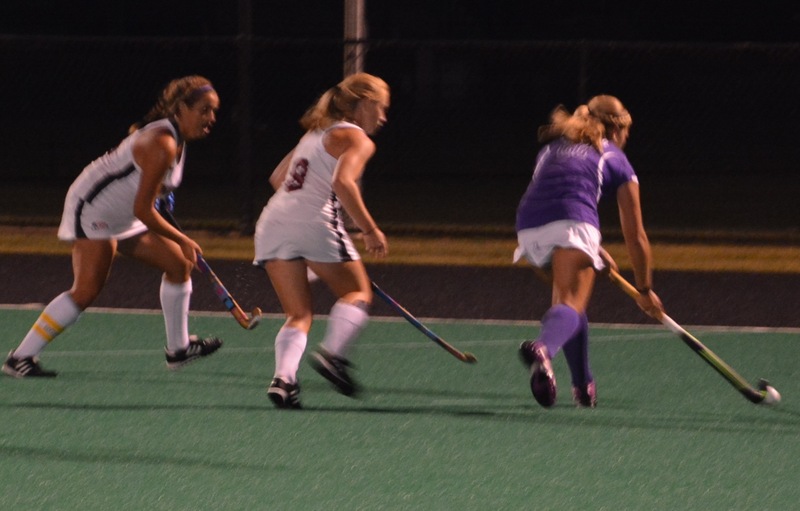 The Leopards had hoped to use their defense to stop the Dane offense for most of the game, to allow the deep bench of the Leopards to gain an advantage in the second period. It did work to an extent, as the Leopards were to use 6 players from their bench to get 4 of their five shots in the second half, only to be countered with five shots by Albany. The whole game saw Albany get a total 8 shots to the Leopards 5. The difference perhaps was the ability of Albany to get 8 corners to Lafayette being shut out with the officials not seeing a penalty inside the circle against Albany all game. Ami Turner was to provide some excitement for Leopard fans, with about seven minutes to go by diving for the ball late in the game in the middle of the circle. Seeing an Albany player out of position she was able to flick the ball over a Dane defender’s head and into the cage to close the deficit to two. Lafayette’s center back was injured after receiving a blow to the head from a stick, after a shot. The official needed to stop play as Hannah Millen was helped off the field with no penalty called. 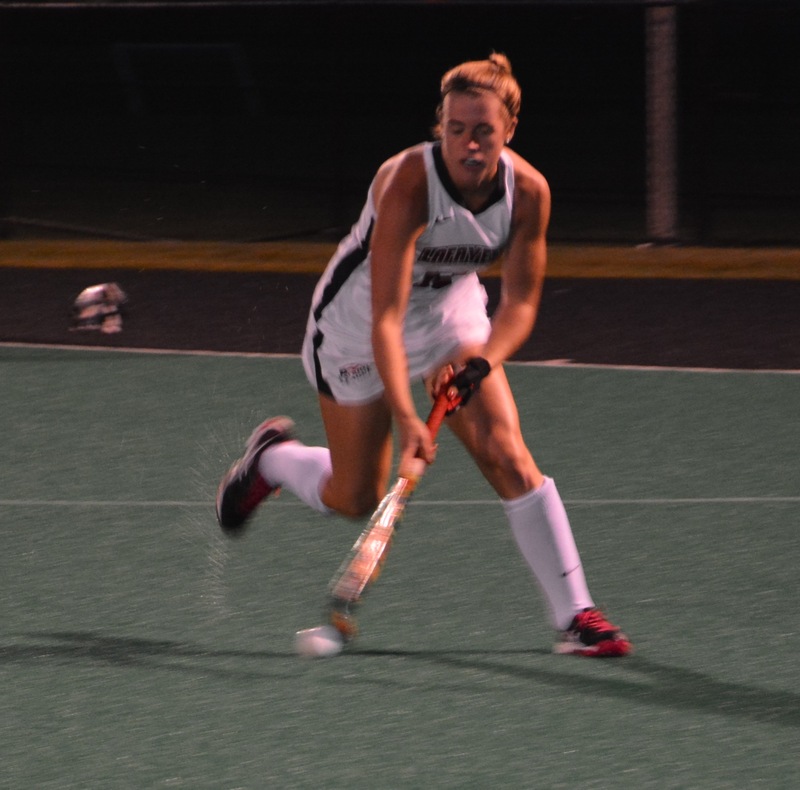 Hannah was not to be held out for many minutes of her senior season and returned to the game about five minutes later. Despite the after game ice pack I have no doubt the plucky center back will be in the lineup on Monday against Drexel. It has been a dreary three games as the Leopards have endured the toughest part of their schedule, but not their most important part. Lessons learned in the last week will no doubt be applied against a 1-5 Drexel squad and an all important league game against arch rival Lehigh next Saturday at Lehigh. Fans will be looking for some of that offensive cohesiveness that carried them to their 5 wins earlier. The season is now half over and a winning sprint I believe could be in offing. 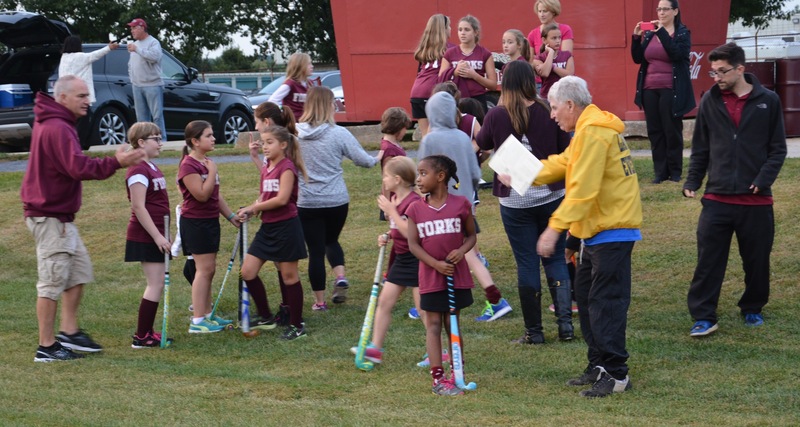 The crowd was sprinkled with a fair number of fans from youth field hockey leagues from Forks Township, who put on a display of skills at halftime for an appreciative crowd. The next game is at Drexel at 7pm on Monday. Which Is It …..A Loss Or A Defeat! I love team sports because of the lessons it teaches real time. The athlete expose themselves every game to the real world. Unlike being part of a classroom, a club, or even a musical ensemble your mistakes on the athletic field or lack of preparation are exposed for all to see. Certainly, the group in the aforementioned activities suffers as well, but the individual almost never has to face the scrutiny of the world. Good athletes, good coaches ( they are after all, part of the team), and good administrators, should reexamine a loss to see what can be done better. A good team member, realizes they are not doing it just for themselves, but to further team goals. I always preferred to hire team athletes, all other things considered, because they understood the concept of examining your own efforts to make the whole better. I hate the excuse makers, and the people who accept a loss. I cringe when I hear a coach or a player say, ” Oh, they were just better, or the refs were bad” instead of saying we learned some things today and our experience will make us better.” How about, if we just had more money, we could have better sneakers, then we would have won. Excuses can be just that absurd. That is how you turn a loss into a defeat. Giving into weaknesses instead of working hard to strengthening some aspect of your game, and learning from a loss, will result in defeat. Administrators have to learn to articulate weaknesses in the infrastructure, coaches have to make sure they give their team an opportunity to prepare themselves, and mentor a good attitude, and individual athletes have to ask themselves, everyday, have I done enough today to make myself, AND MY TEAMMATES better! Is there a skill I must spend some time on, that will make me be a contributor? Do I play hard enough in practice to make the other athletes on the team better? A season has many ups and downs and there are opportunities and traps, and the true athlete and team member must avoid being defeated and learn from losses. The Leopards will play number five ranked Albany friday night, and then the following Monday will be traveling to Phialdelphia to meet Drexel. It will be the following Saturday they will resume the all important league schedule with nearby rival, Lehigh in a must win game!! Coach Stone has always told me she recruits athletes of character first. I believe this IS a team of character who will not be defeated!!! Go Pards!! 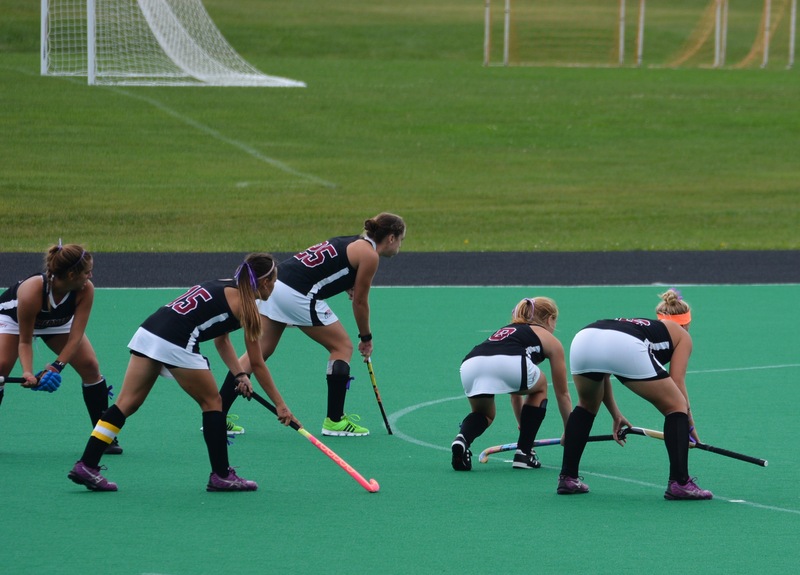 Posted on September 21, 2015 September 21, 2015 Categories SportsTags field hockey, Lafayette CollegeLeave a comment on Which Is It …..A Loss Or A Defeat! 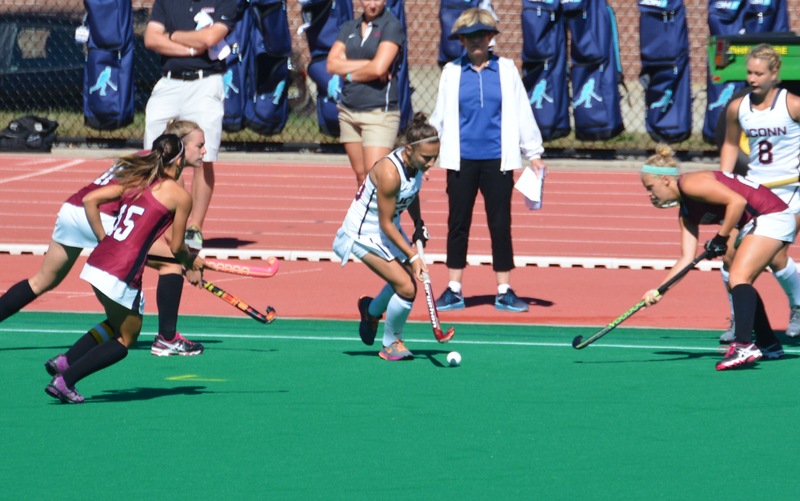 Lafayette could not find consistent control of the ball, while Boston could not score from the field in a game where penalties played a huge role in the scoring chances. Both teams battled for 28 1/2 minutes before the first goal was scored. It was on a penalty corner by Boston University which from my viewpoint, and others should have been disallowed. During a penalty corner after the ball is inserted. the ball must exit the circle first. Then a shot can be taken once it is reinserted by the stopper. From my angle it looked like the ball never exited the circle. A review of the play by the streaming video was not obvious because of the angle. So, the Leopards retired to the sidelines during the first half with a 1-0 deficit staring them in the face. At 43:38 a penalty stroke was called by the official, because in her judgement the goalie took out the attacking player while not making a play on the ball. 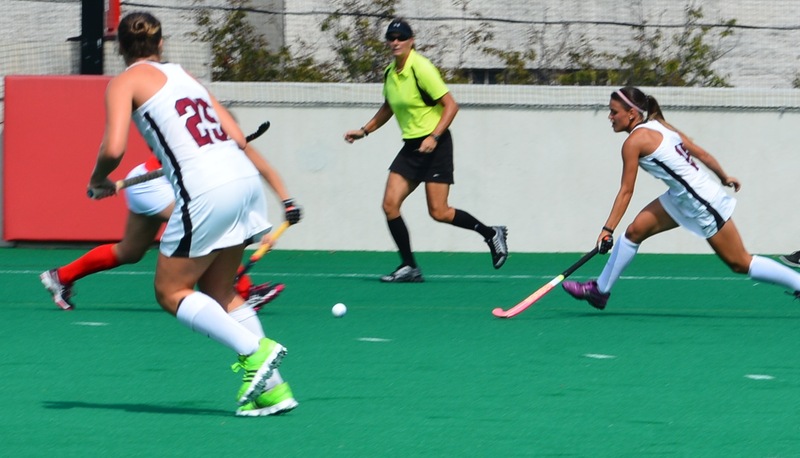 The judgement call resulted in a penalty stroke and Boston’s second goal of the game. The final goal for Boston came on a less controversial play, although again on a penalty corner, which seemed to ricochet off a Lafayette stick into the goal at 46:38. It was then after a timeout by coach Stone, the Leopards came to life, pressing, and moving the ball with more alacrity. They started to find open receivers and threatened several times. 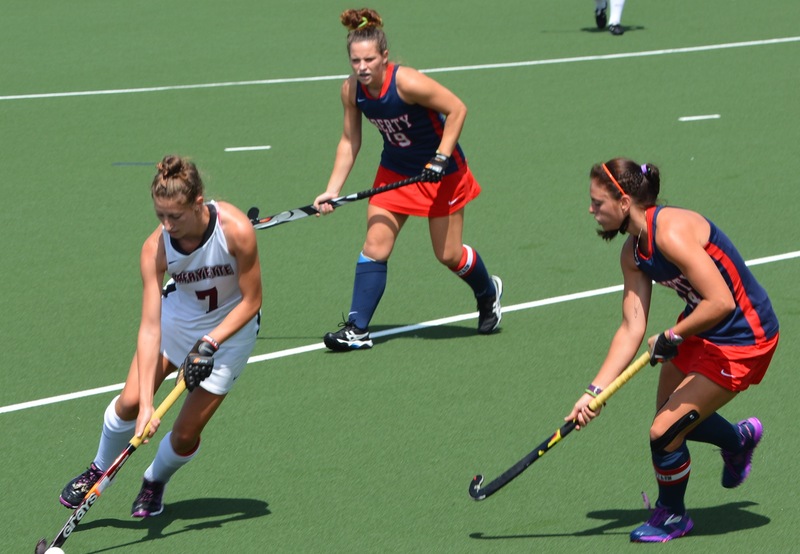 Finally at 57:56 into the game on a penalty corner of their own, Amanda Magadan got a feed from Rosie Shanks and Kirby Szalkowski at the top of the circle and blasted a beautiful shot to the goalie’s left lower corner. Leopard fans were hopeful with 12 minutes left there would be a miracle finish to make it a good day. But despite several good attempts including another penalty corner, time expired and Lafayette could not get the satisfaction of closing the gap. The closing statistics were hardly conclusive with Lafayette having 7 shots to Boston’s 11, four corners to Boston’s 3 and 2 saves to Boston’s 3. This is certain to be a game Lafayette would want to play again and they might, if they get to the Patriot League playoffs. Boston is a very solid team and Sofi Laurito is the real deal. I did see improvement from Lafayette. especially in the second half and no doubt by the end of the season they will be even better, but Boston is a team that is justifiably ranked in the top twenty and one that mistakes cannot be made against, or you will pay a price. This was the best team we have played this year, so far. The Leopards now move on to the number one ranked team and defending national champion, UConn tomorrow at 2pm. As our Leopards travel to Boston to prepare for the opening league game, the team has received a boost of confidence with a 15,000 dollar challenge. 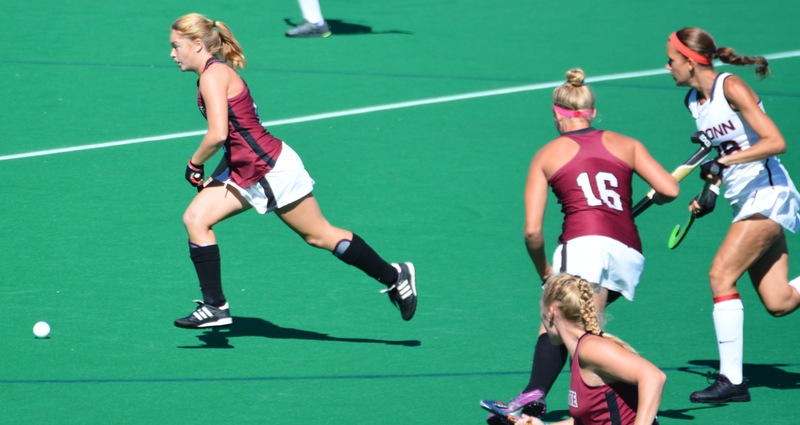 The challenge starts tomorrow and ends the day of the Field Hockey team’s game with Lehigh. Our donor will match dollar for dollar up to 15,000 dollars, all gifts during this period. We are appreciative of our team’s efforts on the field and now we can help them be successful. This will go to help pay for uniforms, coaches salaries, equipment, recruiting expenses, and other necessary items to make the Leopards competitive on the field. We raise 50,000 dollars a year and this effort will enable us to make over 60 percent of that goal by October. You may double the impact of your gift by sending to Joe Giamo- Executive Director of the Maroon Club, Alan P Kirby field house, Lafayette College, Easton,Pa. 18042. 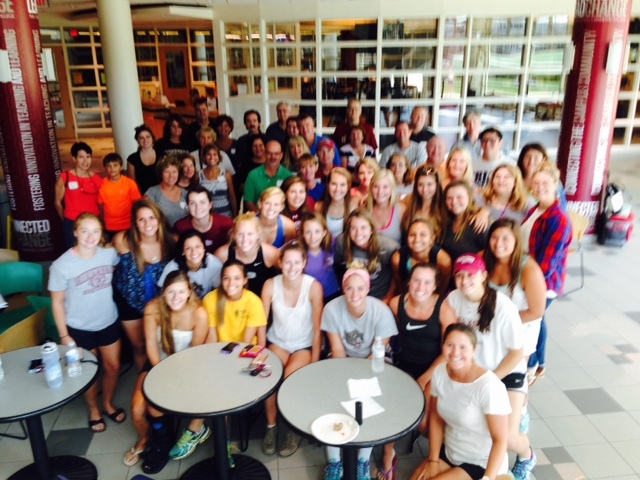 Make your gift out to Lafayette College Field Hockey and memo Challenge Grant. You may also go to the GoLeopards web site and visit the Maroon Club link and follow instruction for delivering a check or making your gift via credit card. Tomorrow’s game will be streamed live, so send a message and gift. Go Pards!!! Amy Tuner shows her form as she takes a shot. The Leopards are deep in talent. The toughest part of the regular schedule is about to begin. Its the part that really means something in that each Patriot League game counts towards one, deciding who enters the League tournament, and two who will host that tournament. It is the only sure way to get into the national post season NCAA national championships. A win in the League tournament also earns the winner a ring and ticket to compete against the best in the nation. 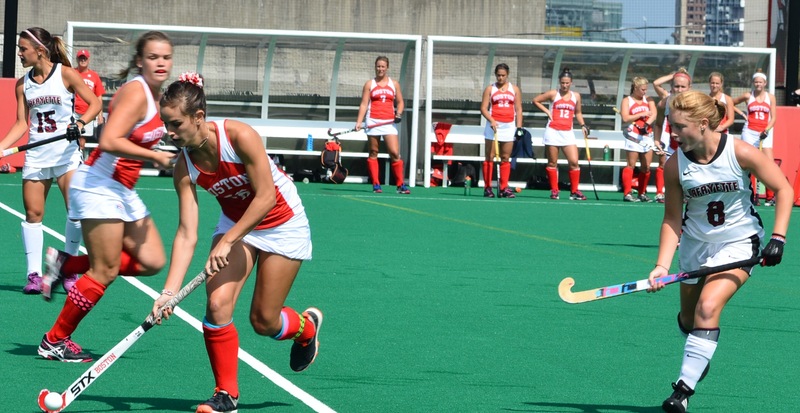 Saturday the Leopards will be taking on a very skilled and well coached Boston University team. Lafayette has not beaten the Terriers since their entry into the league two years ago, as the Terriers hold a 2-0 margin. Every game has been a close, well contested contest, and I expect nothing less on Saturday. 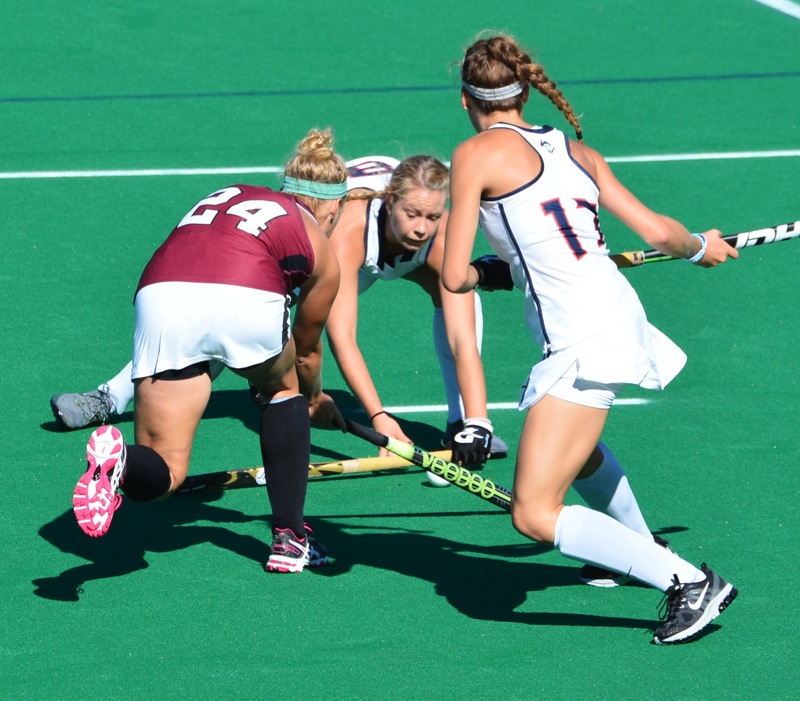 Lafayette has played one top 20 team, Liberty University and lost a 2-1 contest. Boston has played two top twenty teams, Maine and rival Boston College, and lost one and won one. Both teams have been good in overtime Lafayette winning two. Other stats are fairly close Lafayette has 20 goals to Boston’s 17, narrowly favoring Lafayette. Opponents have scored 9 against Lafayette and 11 against Boston. Lafayette’s shot percentage is .307 while Boston is .193. Boston’s SOG is 88 and Lafayette is 66. BU has 41 penalty corners and scored on 7, Lafayette has 27 penalty corners and has scored on five. Lafayette save percentage is 73 pct and BU is .67. This game could well be a defensive battle. If Lafayette can break through and aggressively get to the Boston goalkeeper, advantage Lafayette. If Boston’s high press prevents that, advantage Boston. Lafayette will have to make quick decisions in the backfield and stop Boston getting off shots. Boston needs to do much the same with Lafayette’s advantage and success in scoring once the shot is taken. The offensive corner battery can be deadly for opposing teams! I am sorry to say for fans, this will not be a runaway for either team but a tense battle until the final whistle. With the stakes high and skill of both teams, a one goal game is not beyond the realm of possibilities. The Leopards have something to prove against the ranked Terriers. So for them it is as much about respect as it is about establishing a winning record within the league. They are the visitors but Lafayette fans travel well. 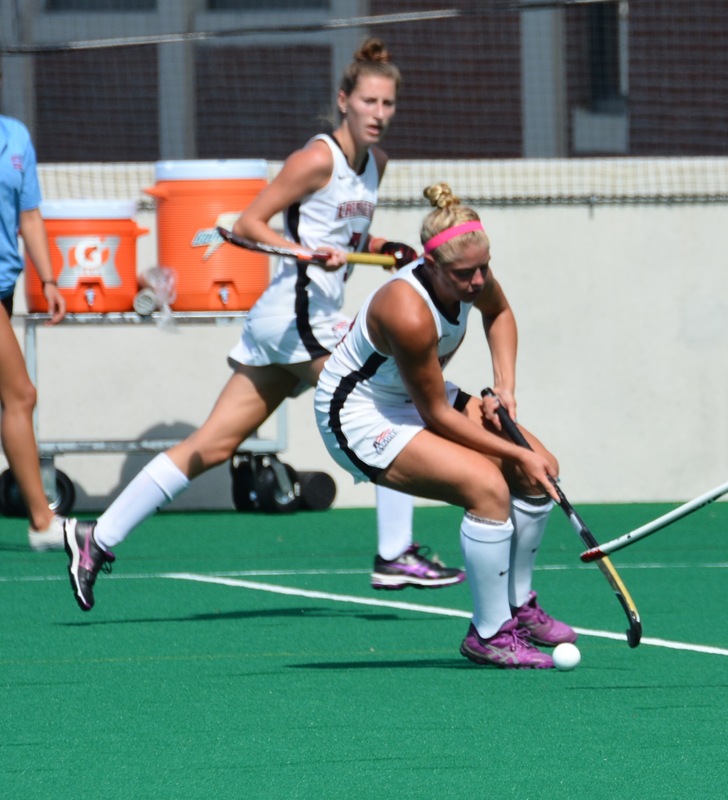 It gets no easier as the Leopards on Sunday, will take on the UConn huskies, last year’s national champion and next friday will host the national runner up. Yes, this could be a defining week for Leopards. At times it is just being on the field, but it was the Lafayette captains, two time Patriot League defensive player of the week. 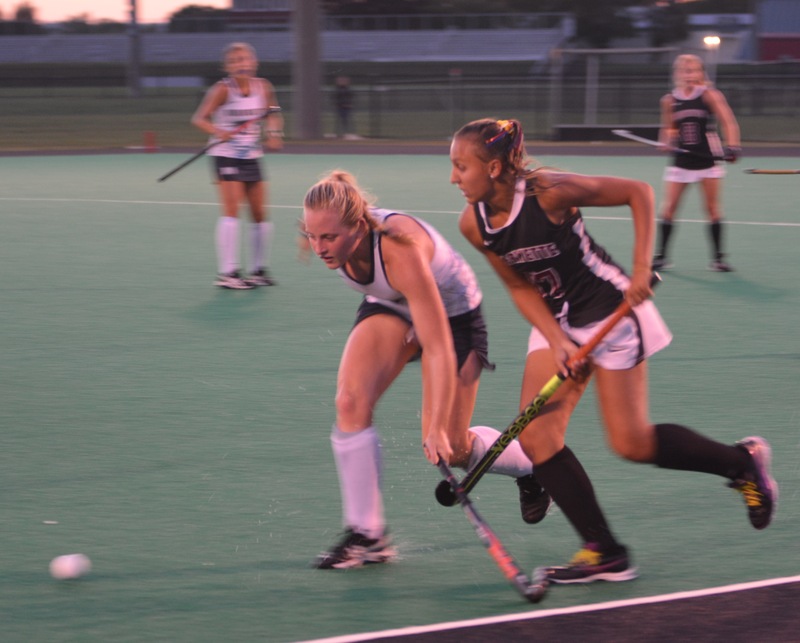 Hannah Millen and Amanda Magadan, one of the leading scorers in the League and a member of the US under 21 team who showed the way as each scored a goal in each period against Quinnipiac, enabling the Leopards to end the week at 5-1. It wasn’t without some last second dramatics as the Bobcats were award three straight short corners after time had expired. But it was the defensive battery that was to come up big and turn away the final shot ending the game. It was Magadan who opened the scoring with a crowd pleasing dash to the goal, stealing the ball outside the circle, avoiding two defenders and then “juking” the goalie in a final move, before placing it in the back of the cage unassisted thirteen minutes into the game. 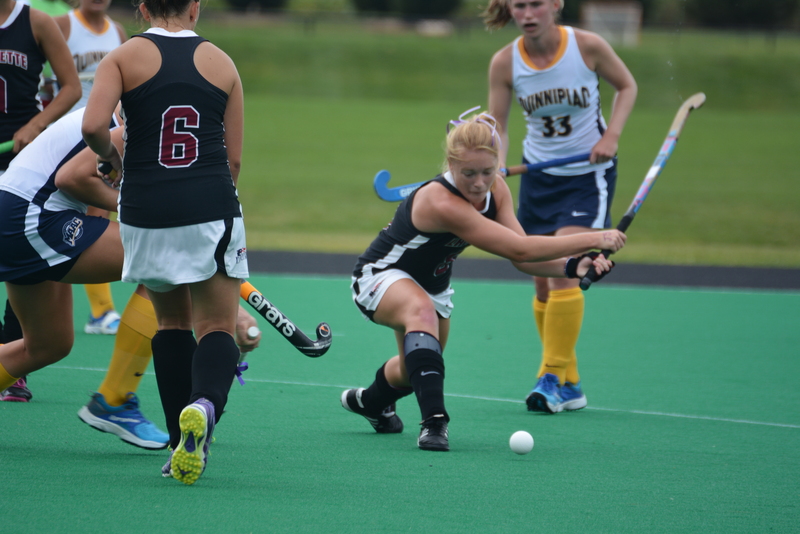 It was then that Millen and company in the back line stiffened and denied Quinnipiac the circle while they managed to get only two shots the whole first half, only one of which required a save by goalie Katelyn Arnold. Lafayette did suffer two green cards and played 4 minutes of the half down a player. 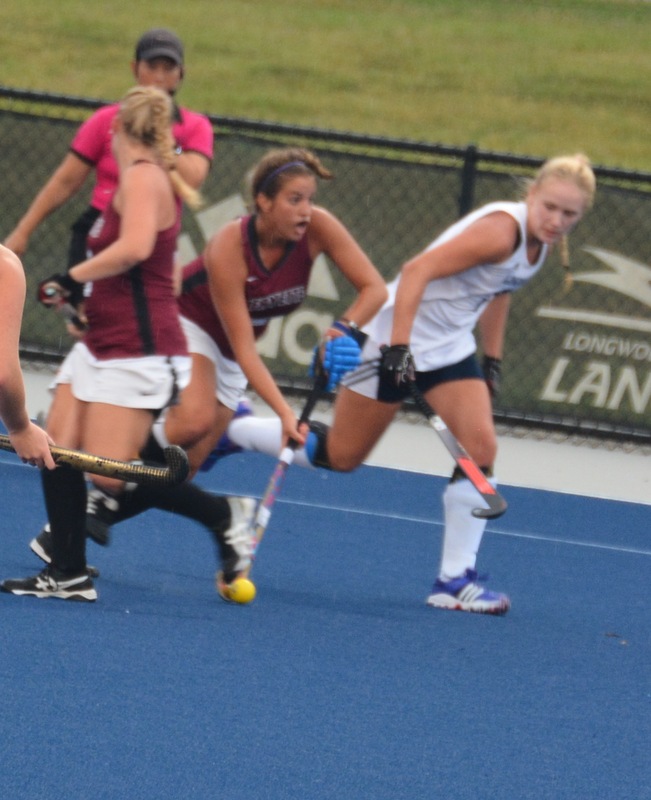 Lafayette looked as though it might break the game open in the second half as Millen scored the second goal off a corner sending a rocket past the Quinnipiac goalie using assists by Ami Turner and Ellen Coubourne one minute and fourteen seconds into the second period. Lafayette threatened several times to make it three but got turned away. Take away the final 3 corners with no time left by Quinnipiac, they managed only three corners during the game. Lafayette had 7 corners, 5 in the second half alone. Lafayette used its bench, substituting in every able bodied field player available demonstrating how deep they are this season. 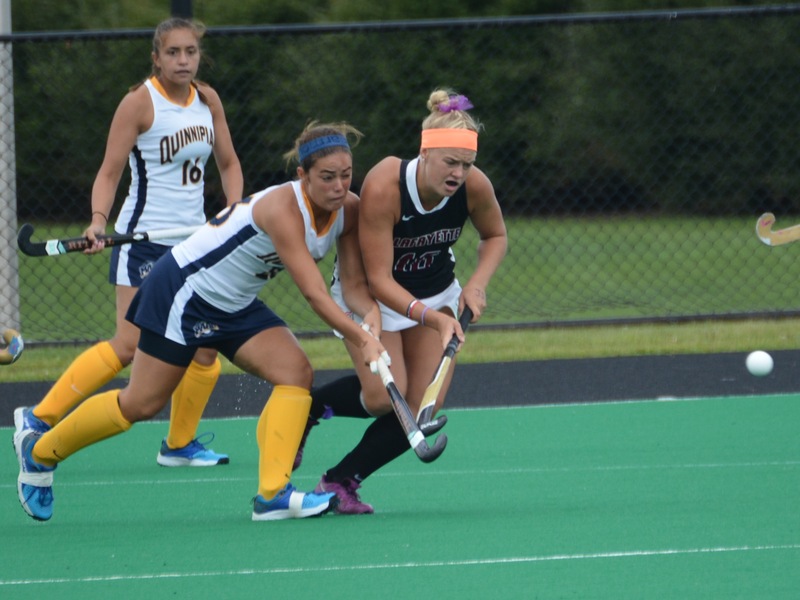 Each coach took a time out, Quinnipiac to get organized as Lafayette looked like it might take complete control, and Lafayette did it for the same reason as Quinnipiac eventually did score a nifty goal by Michelle Fedrico on a backhanded shot assisted by Meghan McCulloch. In addition, Rosie Shanks was to get a yellow card with 6:47 to go in the game. but Lafayette did manage to earn a corner with 3:15 left on the clock. 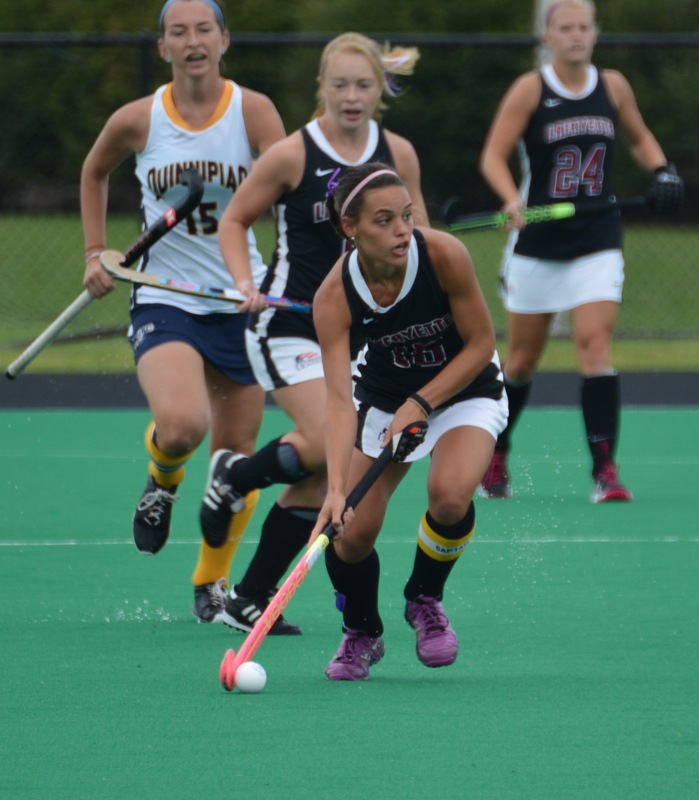 Amanda Magadan was to get the last Lafayette shot which was saved by the Quinnipiac goalie with 30 seconds to go. It never over until its over, as Quinnipiac earned their corner which resulted in three last chances to tie the score with time having expired. The defense came together and finally sealed the victory batting the ball out of the circle ending the game. 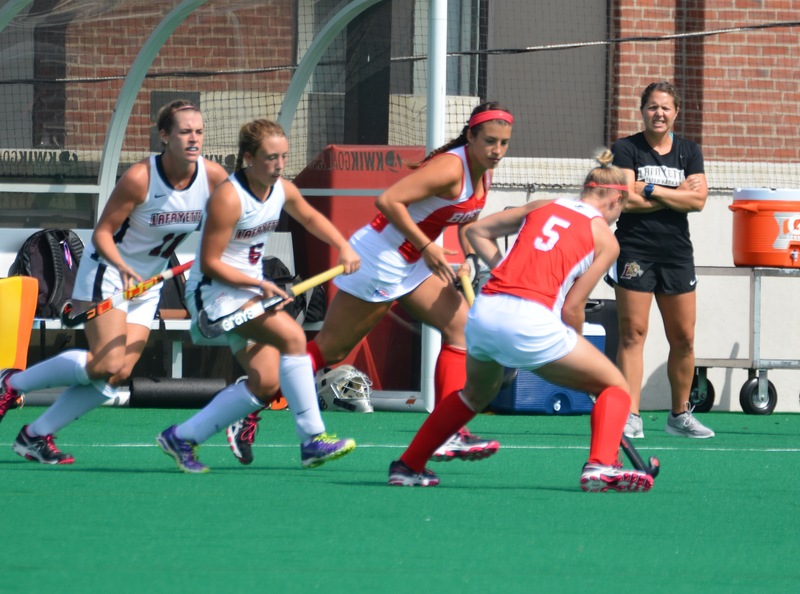 The Leopards next take on the Boston University Terriers in Boston next Saturday at noon. This will open the Patriot League Championship season which will decide the final four participants in the League tournament and the home field advantage.